The American Multinational Computer Software Company, Adobe Systems, has acquired Mettle’s SkyBox Plugin technology which has led to strengthening the partnership of the two companies. 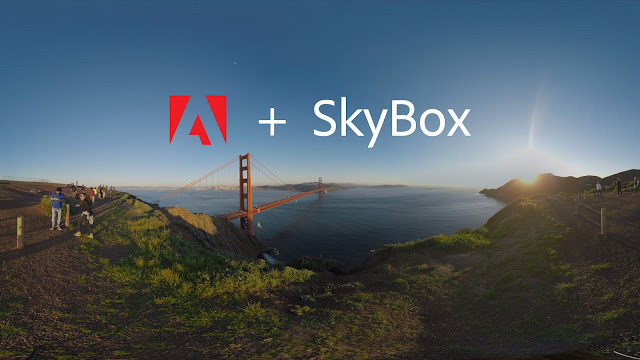 In the official press release Adobe stated that it has acquired the skybox technology and has expanded its virtual reality video editing tools extensively for professional high resolution video editing. Further developments of the acquisition include Chris Bobotis, co-founder of Mettle joining Adobe as Director of Professional Video. Mettle is a leading motion graphic studio in VR editing and is based in Montreal, Canada. Mettle will continue to operate on its own by another co-founder, Nancy Eperjesy. The first Skybox plugin was released in April 2015, it was adopted by National Geographic, Apple and even independent Film makers. Its success led to steady releases of other versions of the Virtual Reality Editing Technology. The official press release took place on 21st June 2017, and is in the integration process. This is not the first time Mettle has been associating with Adobe. They created FreeForm for After Effects in 2010 and Chris Bobotis considers this their next big partnership. This blissful union has been appreciated by the customers of Mettle and has positive reviews worldwide. Adobe is also looking to strengthen its Creative cloud offering now that Chris has joined hands with Adobe. Mettle’s Skybox technology has been adopted by bigwig customers such as Dreamworks TV, CNN, HBO, The New York Times, Time and LinkedIn. After receiving tremendous reviews it stands as one of the sort after video editing tool. Adobe, by acquiring all of Skybox Plugin technology will achieve seamless editing. The technology is now available in Adobe Premiere Proc CC and After Effects CC. If you don’t prefer it then simply go for adobe premiere pro alternatives for your convenience. Premier Pro also features Chromatic Aberrations, Fractal Noise, Color Gradient and Digital Glitch. The Technology for Premiere Pro mainly focuses on seamless 360 transitions, Mobius Zoom, Gradient Wipe, Iris wipe, etc. Some plugins have two view modes and even a virtual keyboard. The skybox tool also allows you to stabilize 360 footage and track text a walking person in your footage. Adding texts and logos are a given. These features are in the integration phase in adobe, existing users of this skybox technology will continue to get support from Mettle even though these plugins are not available with the company anymore. That is; they are not available from Mettle for purchase. These Virtual reality editing tools also complements Adobe Creative Cloud’s existing 360/VR Cinematic Production Technology. VR videos are being demanded for its immersive quality and the money that is being going into developing this technology is growing day by day. Facebook and YouTube have already ventured into VR videos and offer these videos on devices such as HTC Vive. The Viewer only has to get set with the gadget and turn the head wherever he pleases. Recently, Google cardboard headsets were given out by The New York Times, which uses smart phone screens for display to watch immersive documentaries. One can only imagine the scope of this technology in the future. The tools have been proven to serve its purpose and have extremely high standards to create professional motion pictures. The tools, like mentioned before are used by many media companies worldwide, example-BBC and some feature films in the cinema industry. Independent film makers and even youtubers have benefitted from these tools. 360/VR has also penetrated into the gaming world and established itself as one most relevant video editors among game developers and new generation film editors. Adobe considers the acquisition of skybox technology and plugins to be a critical investment, for editing in 360/VR required specific technology. Which really is a smart move because demands for 360 videos are skyrocketing and Mettle was gaining considerable attention with their 360/VR editing technology. Adobe also announced that skybox technology will be integrated into Adobe Premiere Pro and After Effects which are to be released from 21st June 2017. Adobe systems, Creator of widely used Photoshop, Acrobat Reader and Adobe Creative Cloud surely is looking forward for the betterment of the 360/VR video in the coming years.